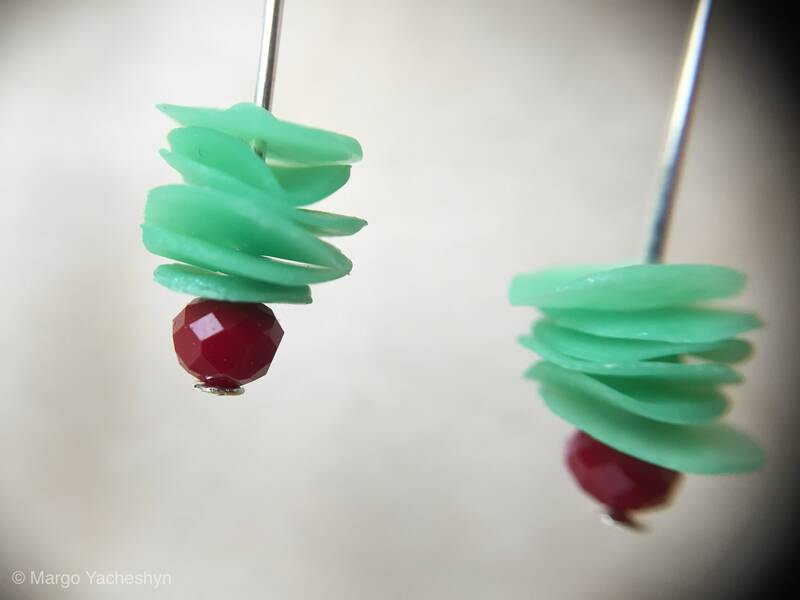 These delicate and unique polymer clay and sterling silver earrings are made with thin layers of handmade Fimo beads all lovingly crafted by me. This set has a tiny, faceted Czech glass bead as an accent. Strung on silver-plated wire with sterling silver hooks. Size is approximately 2.5 cm long by .875 cm wide.